“Cheap promotional gifts aren’t my cup of tea and why should I try to compromise with my fame for few cheap dollars.” Have you ever thought that cheap gifts made waste branding items? You are half right because they do count up as trash, unless and until you are dealing with circle magnets 1.5 inches. Do you know what is so special about them? Read this blog to know how 1.5 inch circle magnets would empower you to make an influence on minds without losing sanctity of your campaigns. You may go crazy with the thought of ability to use colors without bothering about printing charges. All these years, whenever you attempted print advertising or media advertising, you had to limit your creativity because the colors were/are expensive. You were told that you have to work within stipulated guidelines to remain within the budget. However, most e-commerce stores stocking made in USA promotional magnets offer you benefit of free full color printing. Now no one can stop you from becoming Monet or Rembrandt of your niche. That sounds crazy and we can map reactions on your face! “Yaeeeeee not again” is the common cry that you may hear whenever you approach a customer during the next tradeshow with your business card. Perhaps they aren’t interested to receive the same old, plain looking business card. You can encourage them to receive your brand information by offering circular business cards. Don’t forget to add your name, contact details, logo and other details in a short and condensed way. As said before, you don’t need to invest in multimillion advertisements for creating an impact, only you need to think different. 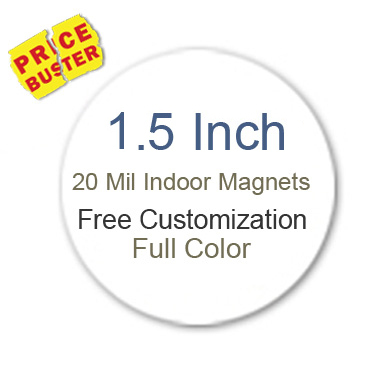 We are sure that most of you working in tight promotional budget can find 1.5 inch circle magnets affordable. Also, you can save on bulk orders, branding and shipping. People would be happy to retain a happy looking promotional magnet, over their refrigerator door as long as they wish. They want a break from the monotony of square, triangle and rectangle magnets. Today, it is highly desirable to find a promotional magnet in the shape of a fairy or a devil because magnet advertising is growing in stature. 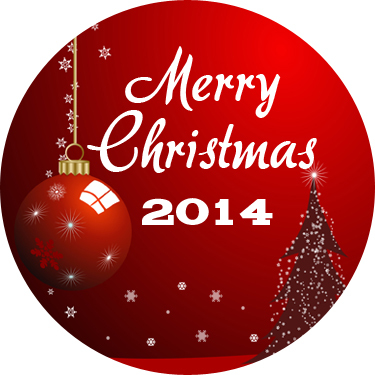 You can seek customized circle magnets 1.5 inch for thanking, acknowledging and praising your customers the year around. Coming back to the first sentence – why should I waste my reputation over cheap promotional gifts? Yes, you shouldn’t attempt to dethrone your pride for a few dollars. However, you can attempt to keep your pride intact over these small and pretty custom 1.5 inch circle magnets. Many online eCommerce stores, which you may scout to secure your purchase, may offer you these circle magnets in different stock sizes such as 20 MIL, 25 MIL and 30 MIL with strong magnet backing. By reading in between lines, you might have understood the price and value benefits that these small and influential circle personalized magnets may offer you. If you are still thinking on the lines of why small and cheaper promotional gifts cannot be a winner, perhaps you can take your own time to arrive at better conclusions.